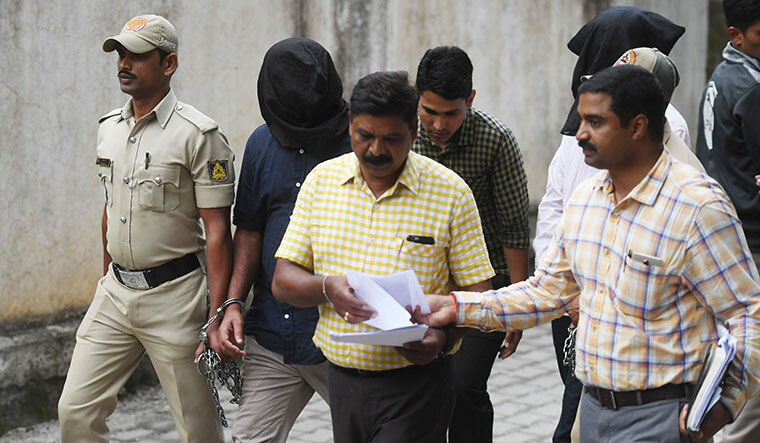 THE SPECIAL INVESTIGATION team (SIT) probing the Gauri Lankesh murder has arrested 12 persons and has hinted that the investigation is almost complete. Exactly a year after the Bengaluru journalist's murder, her sister and filmmaker Kavita Lankesh, in an exclusive interview with THE WEEK, spoke of her life over the past year—her sense of loss, helplessness and the deep urge to know the truth; her travails of keeping up with the investigating agency; and the compulsion of living a part of her sister's life of activism. The SIT claims to have arrested the shooter and key conspirators. Are you satisfied with the investigations? Absolutely. In the beginning, they were floundering about how to go about it. It was a very complicated case as the crime was meticulously planned and executed. Sometimes, the investigation team had hope, and sometimes frustration. I am happy that they were at least going in the right path, without any political intervention and without any communal feeling, either. That was very important for me. They were not targeting anybody, but looked at it from all angles, including personal and Naxal angles. You had said that right-wing fringes were responsible for Gauri's murder. I am happy the SIT has reached this conclusion. It opened a Pandora's box. While we always knew it, it was still hypothetical. Across India, there was a massive campaign linking the killings of [Narendra] Dabholkar and [Govind] Pansare. Now, it is like tying up all these loose ends together. Today, we see human rights activists being arrested. I don't know what my father [P. Lankesh] would have said, or what [writer and critic] U.R. Ananthamurthy or even Gauri would have said in such a situation. Voices should be raised. But how do you raise your voice when such silencing is there? It is a very disturbing and disgusting situation. How often did you interact with the SIT? I know that my brother [Indrajit] was not even involved in it. My mother was anxious. Once in 10 days, I would meet the investigators to know how the investigation was progressing. Are you confident the case has been cracked and justice will be delivered? It does not end here. It ends in court. It depends on how evidence is produced and how the public prosecutor takes it forward. However, I believe that the SIT is not shooting in the dark. They have updated my mother and me, and we felt they were going in the right direction. It was difficult for me, as the SIT has not officially held any press conference to update the media. They would tell me not to get worked up by media reports. I was angry to see the media make the alleged killer Parashuram Waghmore seem like a hero sometimes. You wonder what the world is coming to. What would you tell the accused if you were to meet them? No [I cannot]. It is just like how I have not been able to go to my sister's house after her demise. I do not know if I can face them, knowing that they pulled the trigger on my sister. It is not even hatred for them, but disgust. All said and done, he might be killing for [the] dharma that was instilled in his mind. But, who are the people behind him who are instigating him to kill? They are the most dangerous people. This thought disturbs you. These are misguided youth who are puppets in somebody's hands. Do you regret that Gauri was very outspoken as an activist? As a sister, I do regret. But as an individual, I do not. That is the way we have grown up. I have seen my father being very fiery in his thoughts and writing. Gauri was not even a fraction of what he was. He would bring down governments with his writing. There used to be protests at his office. Being brought up in a family that was free and independent in its thinking, I could never imagine Gauri would be a target. Of course, now I feel I should have shaken her and told her to be a bit more diplomatic. It has been exactly one year since Gauri's death. What are your thoughts? Do you feel a sense of closure? No, not for me. In the last one year, I have seen so much in my life. I am a filmmaker. But, people would always confuse the two of us. As she was the glamorous one, people asked her which movie she was making. Both of us had identity crises! But now, I attend events and functions. I am really not that person. But, I feel I need to be there to represent Gauri. Every day, there is some interview—be it from Bengaluru, BBC or the US. Half of my life has become hers, the other half I live for my daughter. When I try to make a speech about Gauri, I get very emotional. Are you both similar in your ideologies? I am very proud of what she stood for. I know I can never be her. We share a common secular ideology. It is what my father stood for. Anyone who believes in the Constitution of this country will stand by her, I feel. Have you been interacting with the families of Dabholkar, M.M. Kalburgi and Pansare? Yes. 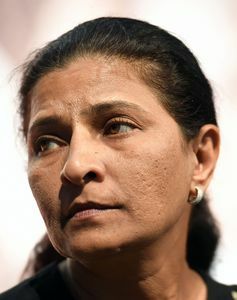 Hamid [Dabholkar's son], Uma [Kalburgi's wife] and Megha [Pansare's daughter] were very frustrated as the investigation was slow and going nowhere. They were all just people in the newspaper for me. But now, we share a sense of solidarity, because we are all victims in a way. Looking at the progress made by the SIT in Gauri's case, they were all hopeful. Here, the team was good, with B.K. Singh and deputy commissioner of police Anucheth, as they had an open mind. Despite media reports about scaling down the team, Singh told me it was because they had done thorough groundwork and would not need as many members. Now, we have the results before us. We have seen the hitlist. Hopefully, it will be an intermission or a full stop on such attacks.